Sponsored Ad: A shade of lip thats uniquely yours! 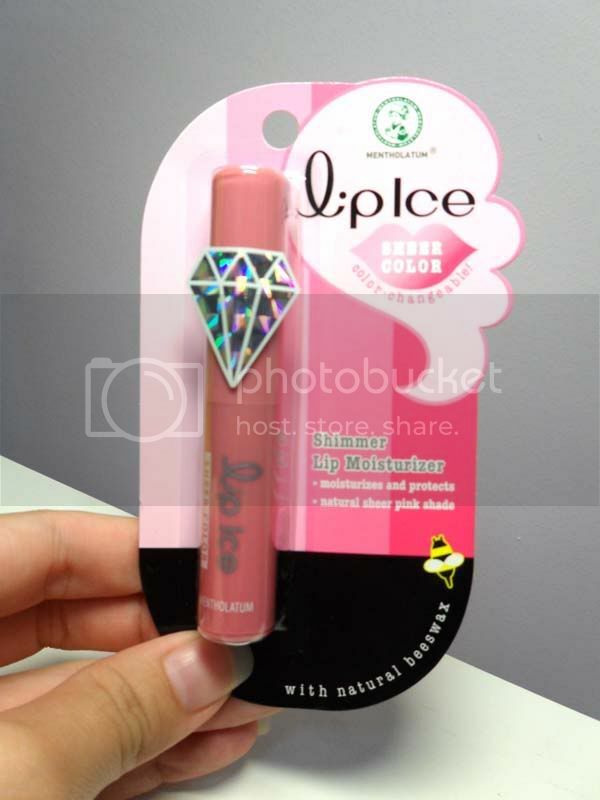 Yayy after almost one whole month, I finally received my Lip Ice Sheer Color Products! I love this picture! My eyes looks different! Was supposed to receive it via registered postage, but since nobody is at home most of the times, had to wait for the postman to leave the slip behind before I collect it at the post office myself. But seems like somebody always took away my slip (3 times already!!!) and by the time singpost sent me the final reminder, its almost a month! And lousy singpost never update their registered article progress! Called in and they say they cant do anything about it. Lousy!! And they almost lost my package :( Anyway, it's here!! Mentholatum Lip Ice Sheer Color Series!! The left one is the shimmering one, while the right side is the strawberry one! 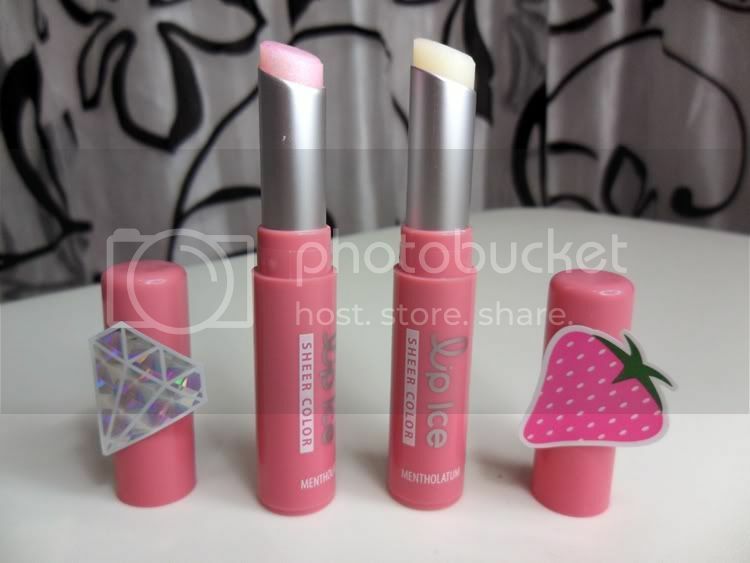 and I used to own the previous lip ice series!! These are how the packaging looks like! Just look at the stickers that are on the packaging! 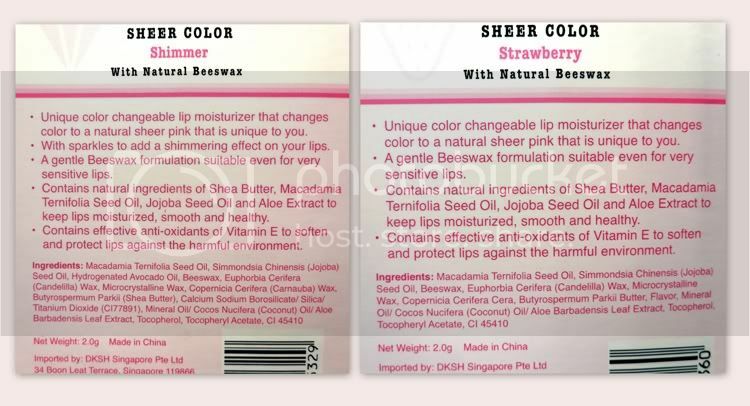 And what's so special about this product is that it changes to a natural sheer pink according to the color of your lips!! 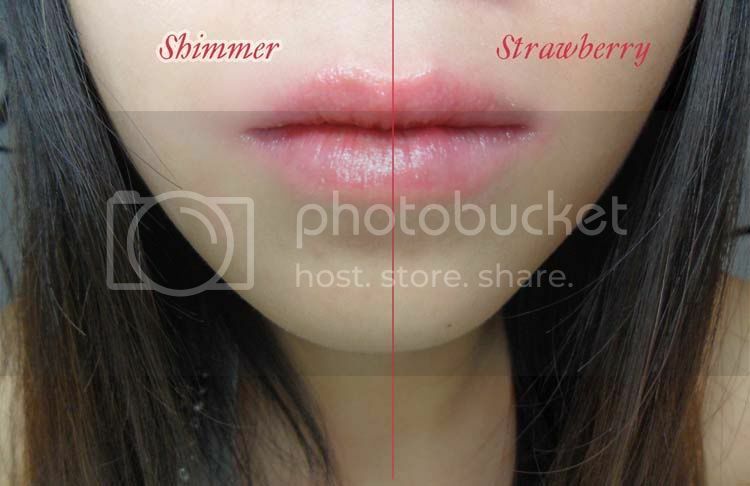 When you first apply it, it comes out like what u get from a transparent lip balm. And after that it changes its color to your unique shade of pink! Just to put the packaging of both lipsticks side by side for comparing purposes! So actually both the fine prints at the back are identical! Except for the ingredients list! 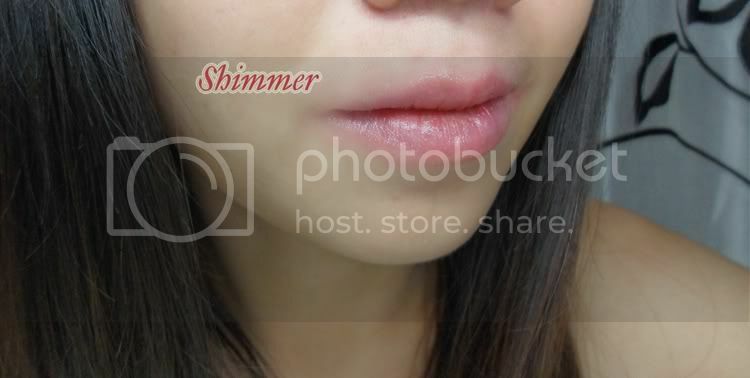 Here's when I applied the Lip Ice Sheer Color in Shimmer on my right side of the lips! Actually... both look very much the same! =P The shimmer one is just a little little bit lighter in color! 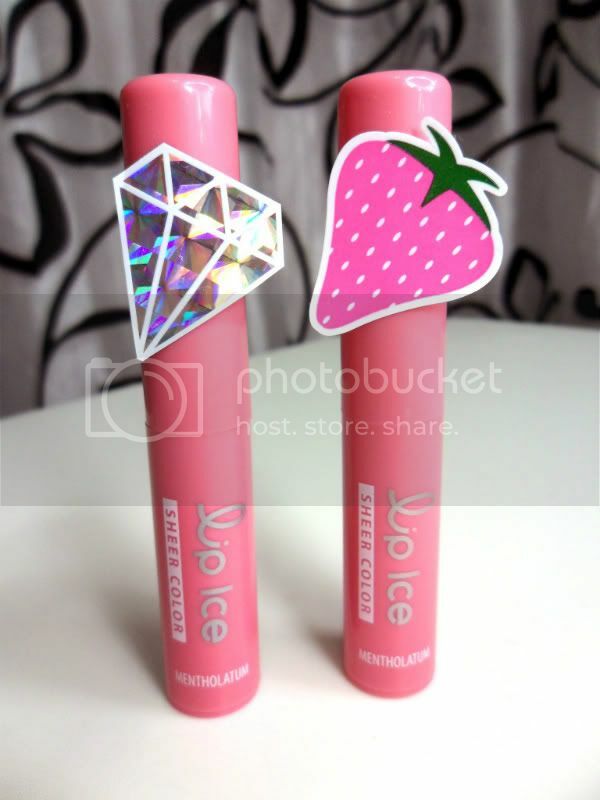 But I kinda love the strawberry one because of its smell~ Smells like I have pocky strawberry on my lips. Hahaha. 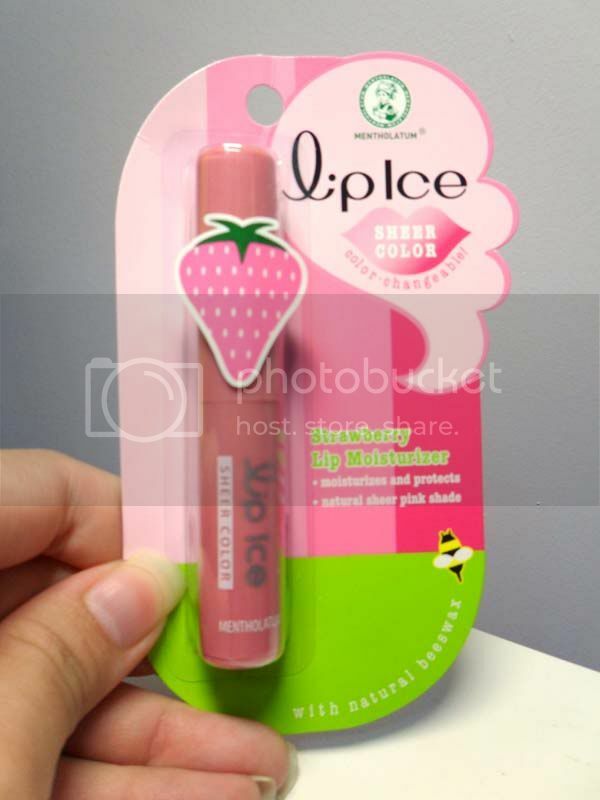 Unlike its previous Lip Ice series, this Sheer Color one do not have the tingling effect on your lips! Because sometimes I have a love hate relationship with the tingling effect, it either makes my lips feel very cold, or burning hot when I have swollen lips >< so I think it is great without the tingling effect! 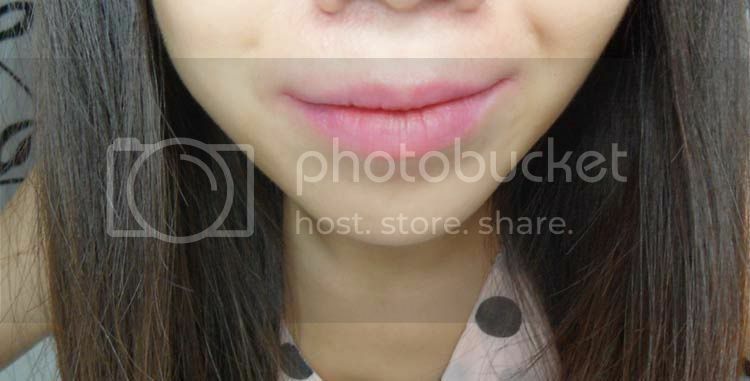 And by the way, I have been suffering from sensitive lip allergy where the sides of my lips goes swollen on and off! Wasnt able to find a very good day to apply the lipsticks without them looking like sausages hehehe. And due to my chronic dry lips, my lip-line is almost gone... (sob sob). 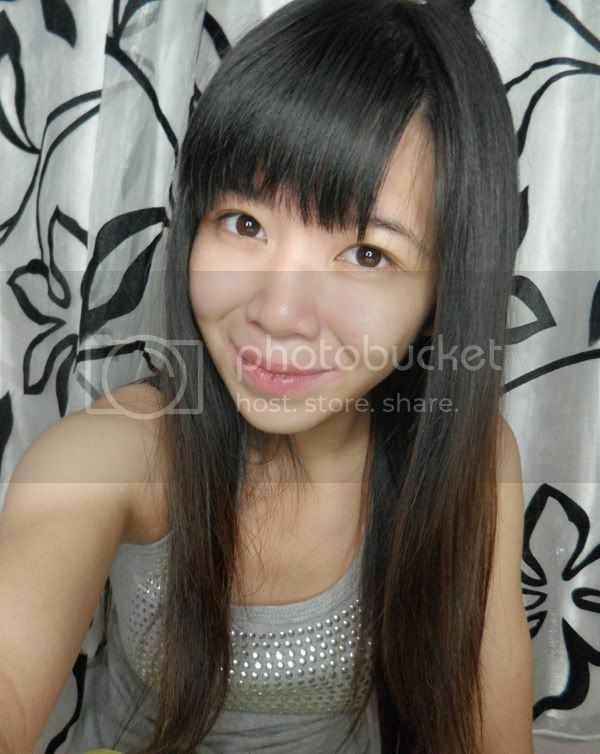 I dont have well defined lips! Unless I use lip pencil! hahahaha. 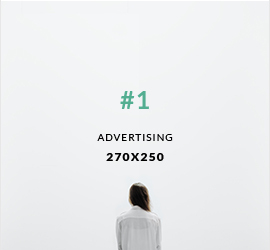 Actually, the thing that makes this product stands out from its competitors on the shelf is that...... It has absolutely durable stay-on power LOL. As most lipsticks in the market goes off when you drink water, press them on a tissue paper, Mentholatum Lip Ice Sheer Series will not!!! It is both a good point and bad point. Good point is I can wear it for the whole day without having to reapply it after meals and drinks! But bad point is... I dont know how to get them off at the end of the day LOL. Will just have to slowly wait for it to fade away! 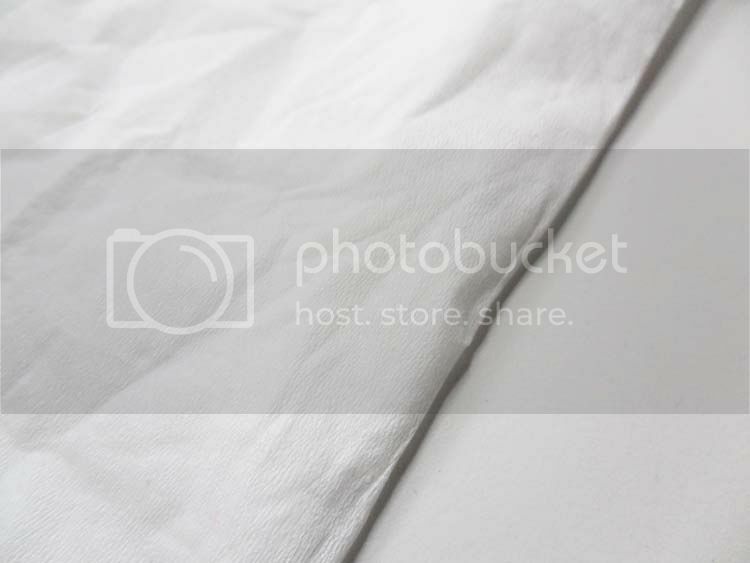 The tissue paper I was using in the previous pictures. No signs of pink lipstick! Still in a bright pink! Retail price: $7.50 only at Watsons! 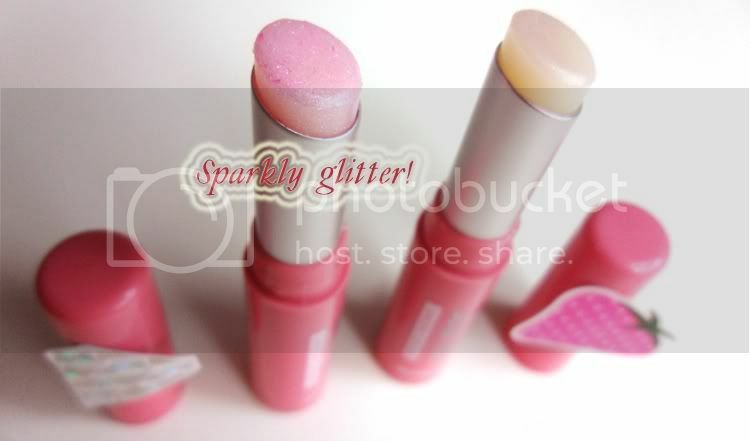 Find out more about these at Lip Ice Sg Facebook as well!